There is one part of my body, I would love to see decrease, and FAST! Needless to say, it isn’t happening anytime soon. I know I am losing weight, but why not there? I am talking about my waistline. Why is it so difficult? And to top it off, the muffin top has gotten larger since I had my baby. I did some research to find out how am I losing weight, but not inches. Apparently, it’s because I am losing fat in other places, equally. I guess, I can’t control this process either. Who said weight loss is a peaceful event? This all explains why I am losing weight from head to toe. I can now see the difference, but still look like the smaller versus of the bigger Vette. LOL However, I did read that in time, my body will begin to take the shape I want. First thing first, melt the fat away, regardless of its location, then I can begin a more focused approach for problem areas. I got a feeling its going to be my muffin top. I looked up foods that will help lose belly fat, and found that avocados are a great aid. I like eating someone else’s, I’ve never tried to make any. I’ll let you all know how it goes. There were other foods, such as a small quantity of peanut butter, some beans, spinach, etc. This is going to be interesting, but I am committed, and what a great game of discovery. This entry was posted in Weight Loss Journey and tagged Belly Fat, Excess Fat, Food, Healthy Foods, Motivation, Unwanted Fat, Weight Loss Journey. This blog is a representation of my life's journey. It represents my everyday challenges, hopes, and dreams. I hope to exhibit accountability and fortitude, while displaying my innermost feelings, vulnerabilities, and fears regarding my career path, educational goals, family experiences, and a very personal weight loss journey. 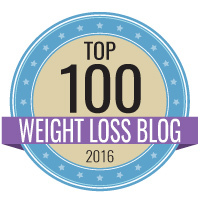 Losing My Fat Lovingly Made the List! Should be at 290 goal weight! Everything’s great, including the GAS!